Not Delegating Can Lead to Divorce. The title of this blog alone has already activated the emergency shut down procedures for some of us. ‘OMG! You mean I have to let someone else do something that I could do myself? Arrrrghhh! What if… what about… they might not… but the last time I did that… etc’. One of my coaching clients was reduced to tears at the very thought of letting someone else do something for them. We did get breakthrough in the end but it took a while. That’s because delegating is deep. It’s more than a skill that all leaders should have. It is founded on a very personal perception of the world and your place is in it. Huh? Without getting into too much psychology, asking someone else to influence the outcome of something you’re responsible for taps into our issues around trust, communication and self-esteem. Before it starts to sound like a therapy session, look at it another way. The top reason people leave their jobs is because of a bad manager. The most common cause of couples breaking up is a bad partner. In both cases, it often comes down to not feeling valued, a lack of trust and poor communication. Delegating, whether in a business or a personal relationship, says to the other person “you are kind, you are smart, you are important”. I Can Do It All Myself… Eventually. Many of us can’t find enough hours in the day to do everything we need to do. Delegating spreads the load. It’s a way of getting more done with the little time and expertise we have, by borrowing bits of time and expertise from other people. I can’t possibly do it. There’s so much to consider. What if they mess it up? Then I’ll have twice as much to do. It will be quicker/easier/better to do it myself. Hit the reset button and let’s start again. Tom Peters is a thought leader in Management academia. He sums up delegating in two brash steps – Let go and shut up! It’s not that simple. Delegating is as much about getting the best for the other person as it is for you. Remember that by allowing someone to get involved, you are also saying that you trust and value them. As someone who runs a business, you are probably paying for that person’s time; why not get the best out of them? In the context of personal relationships, continually being in control says to your partner – “I don’t trust that you won’t mess this up“ or “I can’t talk to you about what is happening” or even worse “I’ll do this myself because I don’t need you”. It is not what you are literally saying. However, that’s exactly what you’re communicating. Remember that actions speak much louder than words. This will sound very familiar to any victims of Bridezillas. The reasons why people don’t delegate are often about control; more specifically, insecurity. Not being sure that the world won’t cave in if they don’t do the task themselves. In the coaching session I spoke of previously, all the ‘worst case scenarios’ that the client responded with sounded like an apocalyptic Michael Bay film! “What if someone died?” Well, in the process of completing the book they were trying to write, the probability of fatalities were minimal. However, delegating is connected to a lot of deep stuff, so to them it was as bad as death… or even worse. You couldn’t possibly put that kind of responsibility on someone else! Communication of both the risks and the task to be done are another reason why we don’t delegate. If I have to explain what I need and why it is so important, it might sound… well. The truth is we often haven’t worked out how to articulate what we need done and why it is clearly important. It’s just connected with other implications and consequences that never leave our internal processing. The delegation itself isn’t the challenge. It’s having to explain everything that goes with it. For example: asking a team member to finalise the figures for a presentation or deliver a cake seems simple enough. You tell them what you want, when it has to be done by and what resources they have to complete it. What’s not so straightforward is explaining that you had over-promised and now it’s overdue. Because of that there’s no slack in getting the cake there on time or getting the figures right. Your personal reputation, and that of your contact who suggested you do this, is on the line. You knew from the start that it was a long shot but rather than say ‘no thanks’ and bow out gracefully, you had a point to prove because the competitor on this job is your former partner… and it goes on. We also don’t delegate because we can’t stop working. We have to always be doing something to make sure we feel part of what is happening. The justifications to keep working, and adding to the to-do-list, are endless. Another client summed it up like this: “what would I do if I had nothing to do?” Well, I would have thought you’d go home and rest, or enjoy some time with your family. BOOM!! No, they couldn’t do that! Their role was contributing to the family, not actually being a part of it. What if they couldn’t be a good father, like their father was? Again, whenever you peel back the skin on delegating, you find out some pretty interesting stuff. Finally, not delegating often comes down to trust. Either we don’t trust ourselves or the other people around us. See, if I do it all myself, no-one can judge me have making the decisions that got me into this spot in the first place. After all, we’ve got it all handled – all by ourselves. When we aren’t making excuses for ourselves, we question the fidelity of others. Are they genuine? Are they capable? Will they leave me with the task half down? “If they are given an opportunity to do more, they might use it for their own purposes – I will not be used like that again”. Wide eyes, raised eyebrows – but this is genuinely how some people feel about delegating. Surely, it’s not that bad? Let’s also consider the other side of the coin. If you are the person primed and ready to be delegated to, it can feel a bit like being kitted out and and on the field but never being passed the ball. It reminds me of my secondary school PE football matches. There were a few guys who were star players. They were gifted and loved the attention they got for it. They always got to play upfront where all the action was. Then there were the other members of the ‘team’ who were told to play defence. They rarely got a piece of the action at the other end of the pitch. No-one would pass the ball to them and they never got to play up field. Surprisingly, they didn’t tend to feel good about themselves or the team or the coach. If that happened in your business, you’ve got a disgruntled employee. If that was in your marriage, you could be on the road to divorce. How to be better at delegating. State what the task is. Also communicate what it would mean to you and the business (or relationship) when the task is completed successfully. The delegator might have to declare any hidden agenda here. After all, we are on the same team, right? Otherwise, consider whether you can delegate something else instead of this sensitive task. SMART tasks will be a great help to both of you. If you’re trying to get better at delegating, start by sharing simple tasks. The temptation is to overload the person you’re delegating to so they fail, and you prove your point that delegating is a bad thing. Single, unconnected tasks will be more comfortable for you both; rather than complicated, interdependent ones. Chances are you know how complex the task can be through experience. So as well as delegating the task, pass on some of your insights. For example: you know delivering cakes at that time of day, to that address, can be a parking nightmare for parking outside the client’s place. It’s less hassle to park across the road in the multi-storey car park. There may be other things you could set up to make completing the task easier: does it need a budget or an introduction in advance? Remember delegating proves to them that you want them to SUCCEED. Remember: they are smart, kind and important. The television show Who Wants To Be A Millionaire gave us an understanding of how lifelines work. Let the person you are delegating to feel like it’s not a one shot deal. Arrange a time they can speak with you if they need any clarification. That may be as simple as suggesting to them that you’ll be free between 1pm – 2pm if they have any questions. It makes them feel like there is help if they need it. It also means they might start working on it before 1pm rather than leave it to the last minute. Ironically, when people leave things to the last opportunity it’s often not because they are lazy. If they’ve only got limited time to do something, there’s no room to be excellent. You just have to go with what you’re getting. That way, it lets them off the hook – but that’s an entirely different post. Don’t let all the attention be on when things fail. No matter how simple the task, you will go a long way with a simple question: so how did it go? By engaging in conversation about the task, the delegator reinforces that you value their time and effort. Accept that they might be able to bring something different to the task. Your way isn’t always the best way, if it means the task gets done better/easier/quicker. Perhaps you’ve always had to travel across the rush hour to deliver the cakes, but your colleague finds it more convenience to park outside the client if they make the deliver just after lunch. Allow them to bring something new to the table. 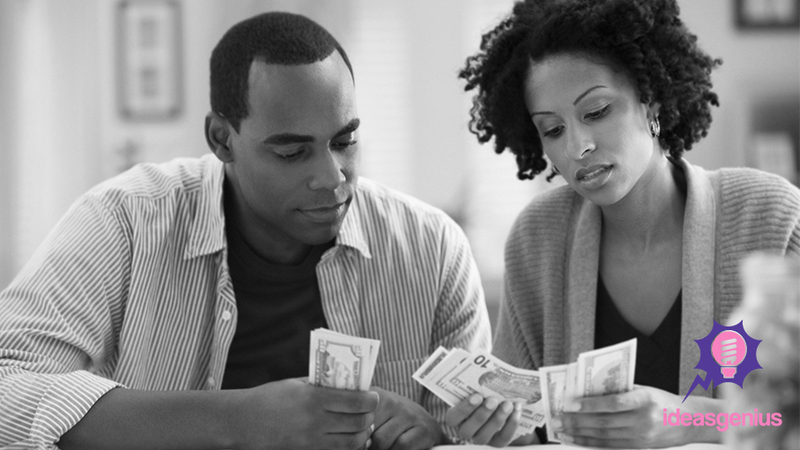 Money Talks: Your Hidden Relationship Hurdle.